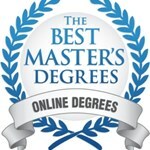 Northwestern College’s online Master of Education degree program has been named among the nation’s Top Low-Cost Online Master’s Programs by BestMastersDegrees.com. “Things We Couldn’t Say,” a reader's theater presentation that tells the story of a World War II Holocaust survivor, will return to the Knight Center stage at Unity Christian High School. Dr. Sara Waring-Tiedeman is the new Master of Education program director for Northwestern College’s Graduate School & Adult Learning. 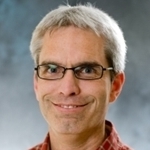 Northwestern education professor Dr. Derek Brower recently co-presented at the fifth annual STEM (Science, Technology, Engineering and Mathematics) Forum & Expo in Denver. Nine new faculty members are joining Northwestern College this fall. 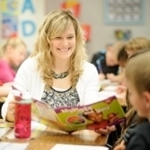 Northwestern online graduate student Amanda Winslow has been awarded a 2016 Leadership Fellowship Scholarship from the Iowa Association for the Education of Young Children. Northwestern College’s online Master of Education degree program is ranked among the nation’s most affordable by AffordableSchools.net. Twenty-two Northwestern College academic programs are listed in the 2016 edition of Rugg’s Recommendations on the Colleges. Kirk Johnson '99 has recently been appointed as the associate superintendent of the Waukee Community School District. 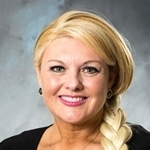 Sherry Vanderploeg, online lecturer in education, will present at an education conference.